Give the Gift of Roller Skating, Inflatables, Arcade, Snack Bar and Fun! Purchase online or in the rink. 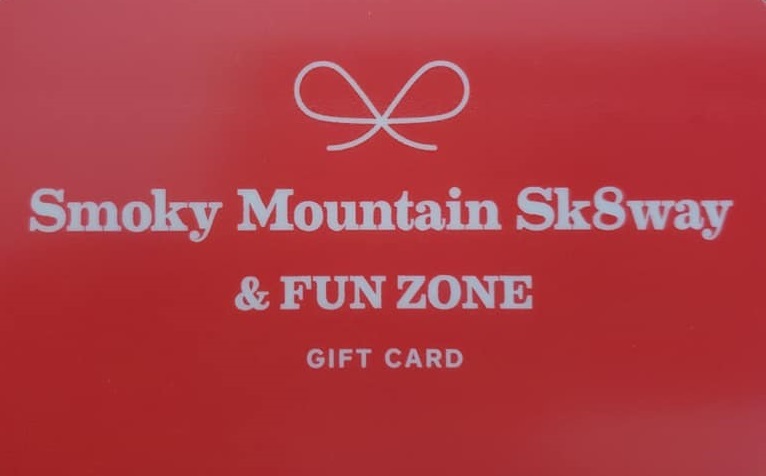 Gift Cards are good for any activity, food or retail purchase at Smoky Mountain Sk8way! 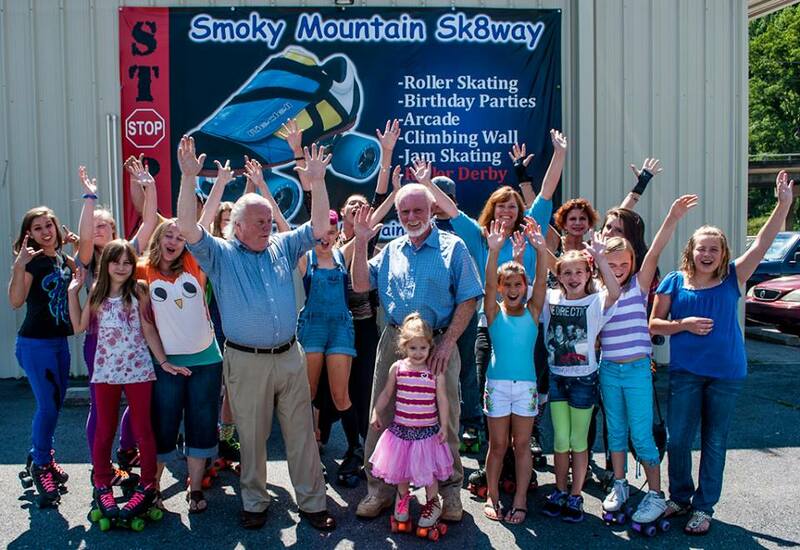 Have your Birthday Party or Event at Smoky Mountain Sk8way & Fun Zone! All you do is bring the kids, the cake, and the candles! Party package prices are for birthdays scheduled during the day or on weekday nights. Saturday Night parties should add $40. If you have booked a birthday party with us, you may bring a birthday cake which MUST be served inside the birthday room. In addition, you MUST provide everything to cut & serve the cake with. All other outside food & drink is strictly prohibited inside facility. Roller skating parties are always popular. We recommend you write a list of invited guest you will be paying for and leave at the front door when you arrive for your party. Many times guest will bring a parent, sibling or friend to the party with them and we encourage it, however, we do not want you to end up paying for uninvited guests so we work off a guest list. 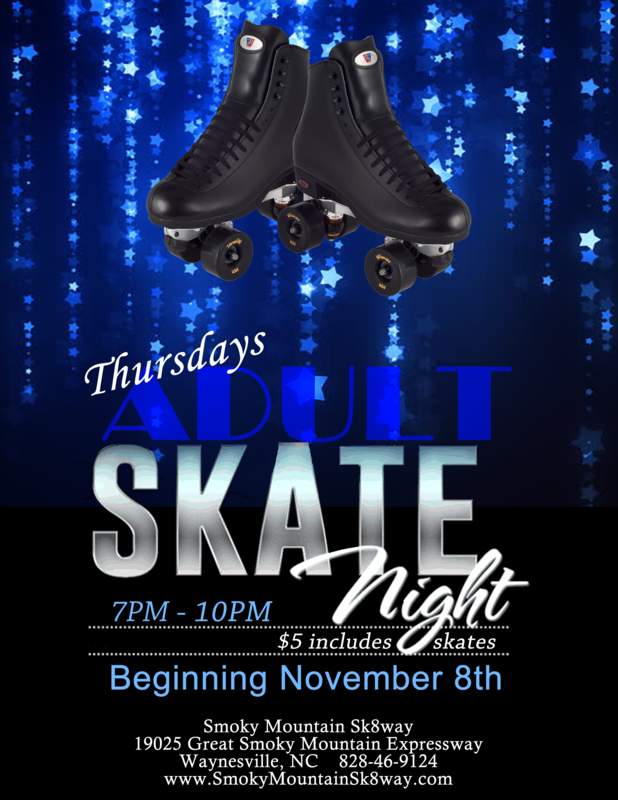 Social Media has also brought a new dimension to roller skating parties in that party hosts create a Facebook event page for their parties and invite hundreds of friends with the condition they have to pay for their own entrance fee and skate rental. A guest list is essential for this type of gathering. 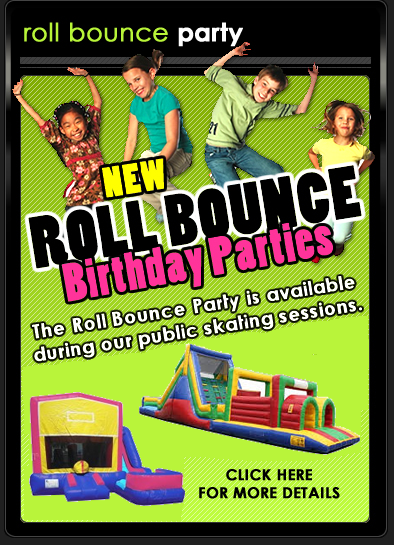 During your party we play roller skating games like the “Limbo” and “Roll the Dice”, we allow song requests and we call the Birthday Star out to the middle of the rink where the whole skating rink participates in singing “Happy Birthday” followed by a Birthday Skate for you party! We do require a 50% down payment which will be subtracted from your balance. It can be mailed or dropped off at the rink. We do this simply so we do not set up tables for a no show. Custom event packages can be created. Just give us a call! Get rollin’ with your party reservations TODAY! 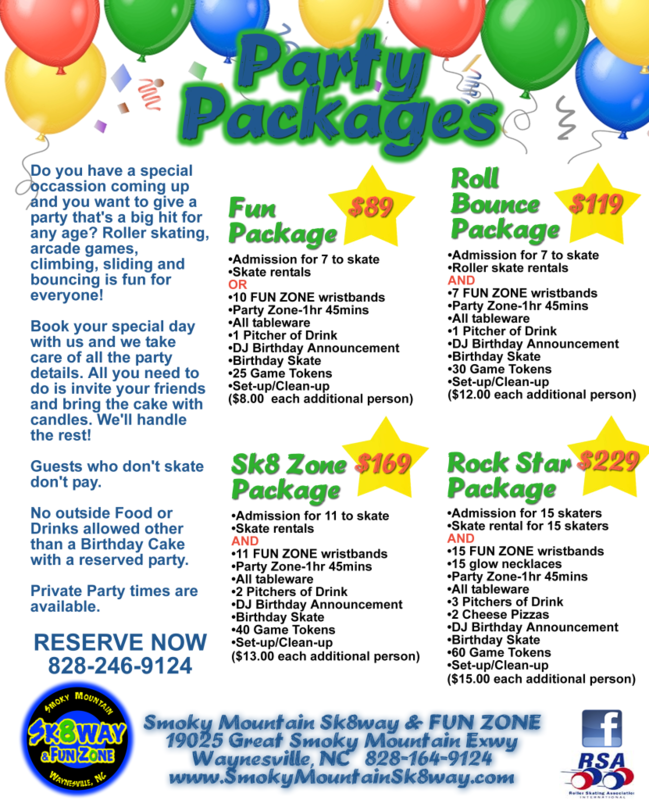 Smoky Mountain Sk8way has added the new Fun Zone which includes arcade games, birthday rooms a climbing wall and inflatables! 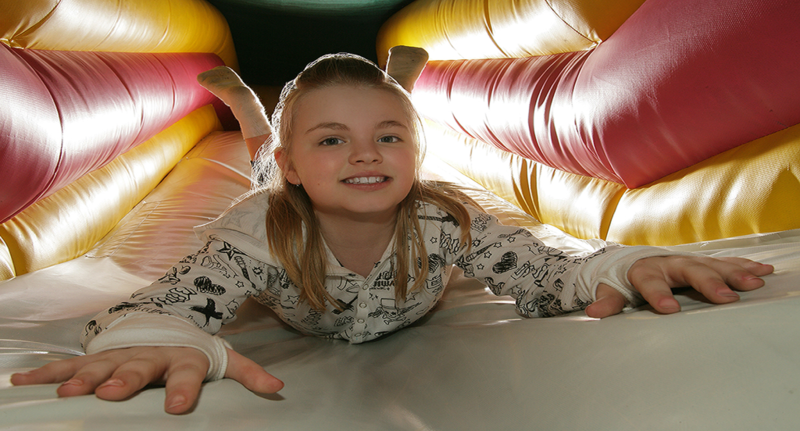 Our inflatables consist of an over 60′ obstacle course, 20′ climbing wall and slide suitable for all ages…even adults! We also have a smaller bounce house that includes a climbing wall and slide, as well as, a free standing four sided climbing wall for ages 4-8 years old. We sell unlimited play wristbands for the FUN ZONE which costs $6 each or $5 with the purchase of a skate ticket. They call it FUNdraising for a reason! We can help your group or organization raise money the fun way! Bring in a group of 30 or more and we will donate $ from each admission right back to you! We are also available for private fundraising events. Just give us a call!